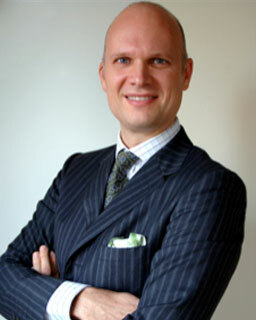 Olivier has broad international and multi-cultural business experience in several roles (CEO, managing partner, entrepreneur, adviser, board member), in different industries (services, telecom, media, utilities, pharmaceuticals), for different types and personalities of leaders and in different countries/regions (BeNeLux, France, Spain, USA, South America, Asia). Through a life-changing accident, he understood that what really matters to feel achieved is realizing what matters most in life, and how to contribute to a better world and society through action. Olivier specializes in helping global leaders, teams and organizations find that “one thing” that matters most to them—having sense and noble purpose (“why do you do what you do?”) lead their mission, strategy and actions to exceptional, sustainable results. During my many encounters with people all over the globe and in the most diverse contexts; through a year-long research project on inspiration, integrity and exceptional results; and through intense self-development, I deeply believe that the world and its leaders are confronted with a major paradigm shift where sense-giving and noble purpose become more and more the foundations for sustainable success and joy. By questioning how and what an individual, a team, an organization wants to leave as a legacy to society and the world, the way leaders, teams and organizations do business makes all the difference. As a “harmonizer” of leaders, their organizations and the places where they work and live, I seek to help them find and keep (!) the right balance between mental, emotional, spiritual and physical ‘bodies’ for the sake of realizing their noble purpose. I want to contribute in society and business something future generations will be proud of.